Original Bobby Jack monkey has many different sheets, comforters, pillows, curtains, shams and throws. Monkey twin bedding, full and queen bedding sets for toddlers, older kids and anyone who loves monkeys. 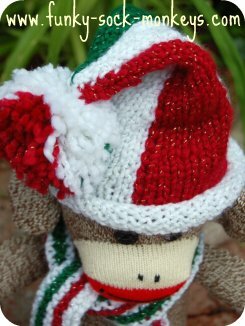 Although Bobby Jack isn't officially a sock monkey, I thought he deserved the honor of featuring on our website as he was just too cute to miss out on. By getting a cute Bobby Jack Bedding set for the bedroom of your child they'll be happy little monkeys jumping on the bed. So long as they don't fall down and dump their heads. Text Me: BFF - Best Friends Forever theme in green and pink. Going Dotty: a combination of blue, brown, white and green, with dots, stripes and solid colors. Groovy Stripes: a combination of pinks, blue, green, white and blue in solid colors, dots and stripes. Burst My Bubble: Chocolate brown and pick colors with Bobby Jack blowing a bubble. 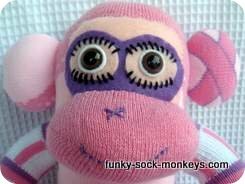 Whether you have monkey bedding or not there is always room for a sock monkey or two or three. Mix and match socks to create truly original characters. 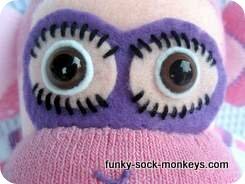 You can match your sock monkey socks to your bedroom decor. Whatever color scheme you have in a room there will always be a sock out there to either match or contrast your room. We're underway with sourcing loads of sock brands to make it nice and easy to find what you are after. 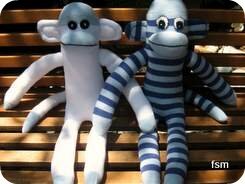 If you have a room with Bobby Jack themed items you'll be able to find some fun socks to make a monkey that will suit your room as there are many striped socks available in so many colors and dotty socks too that will brighten your room in a way nothing else can. 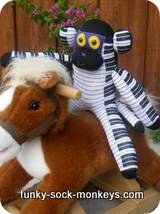 Sock monkeys seem to give off a great vibe. I think it's because when they are handmade, they don't have to be perfect and that is exactly what makes them perfect. 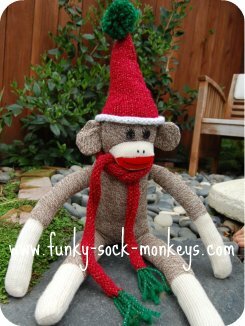 Seriously, if you haven't made a sock monkey yet, give it a go because there is something really fun about a sock monkey sitting on your bed. This little guy was created as a gift for a friends daughter who loves to the piano themed sock. Even though she is now in her teens I always get a smile when I see him (the sock monkey) sitting center stage on her bed.